We have digital technology to thank for 24/7 access to retail therapy, particularly on stressful work days and sleepless nights. What makes online shopping so great is that it’s simple and convenient. It gives you so much variety, all from the palm of your hand. The downside is e-commerce websites can disorientate customers. Like walking into a departmental store with no signage, shoppers are overwhelmed by the large number of products available on an online catalogue. With all that clutter, it’s hard to navigate to products they’re looking for, or discover products they might like. Companies know shopping shouldn’t be hard (or it wouldn’t be a national pastime in Singapore), which is why they are tapping on artificial intelligence (AI) to make your shopping experience seamless. If you’ve visited online fashion stores before, you’ve probably noticed some beautiful editorial images. Maybe you saw a cute top that you really loved on one of the models, but you couldn’t find it anywhere in their huge catalogue. A keyword search could not reliably turn up the exact product you were eyeing either, because the item description may not match the specific words you looked up. This scenario plays out over and over with frustrated online shoppers on many fashion e-commerce platforms. To solve the problem and deliver a better shopping experience, ZALORA has launched a ‘Shop the Look’ feature where you can click on any editorial images to see products identical or similar to those that appear in the picture. The feature uses AI image recognition technology to match the clothing featured in curated photographs with exact and related products within ZALORA’s platform. “A lot of customers and partners want to know how to buy the stylings they can see in our editorials and commercial designs. So, we were thinking about how to make this step easier for them,” says Doro Garth, Associate Director of Product Management. So what exactly is happening under the hood? A computer programme that recognises clothing details in images may sound like magic, but it actually mimics how we humans learn to recognise objects. What it really comes down to is trial and error, and a ton of data. Programme developers feed a machine learning algorithm with an enormous library of images and train it to sort them out into categories. Given enough experience, it’ll learn without you having to spell out the rules. ZALORA’s ‘Shop the Look’ feature does just that. The machine learning algorithm is first trained with product images from ZALORA’s product catalogue. Given enough training, the algorithm will come up with a reliable set of categories and rules that guide it to identify and match an exact or similar items based on what it has learned in the past. You don’t have to be a computer scientist with a PhD to incorporate AI image recognition technology into your company’s online platforms. 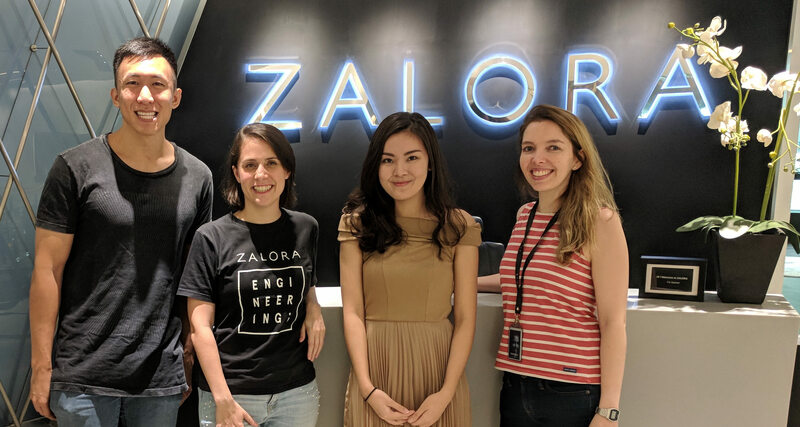 In fact, Kenneth Teh and Gloria Soh, part of the team behind ZALORA’s “Shop the Look” feature, designed and built the prototype with ZALORA engineers as part of a web development programme at ALPHA Camp. Neither had any coding knowledge prior joining ALPHA Camp. They spent just four weeks with ZALORA’s senior developer and product manager to come up with the first version of the app. First-time coders like Kenneth and Gloria are able to build smart web apps because bona fide AI developers such as ViSenze create sophisticated machine-learning programmes available to the masses. All you need are the programming skills necessary to write these algorithms into your API. AI programmes do more than enhance search functions on a website. They can tailor product recommendations to individuals, or deliver better customer service with greater efficiency. And that’s only the tip of the iceberg. E-commerce platforms like ZALORA are constantly finding new ways to use cutting-edge AI technology to make shopping more enjoyable for you. Interested in reading more? Check out ‘Are coding jobs leaving Singapore?’. 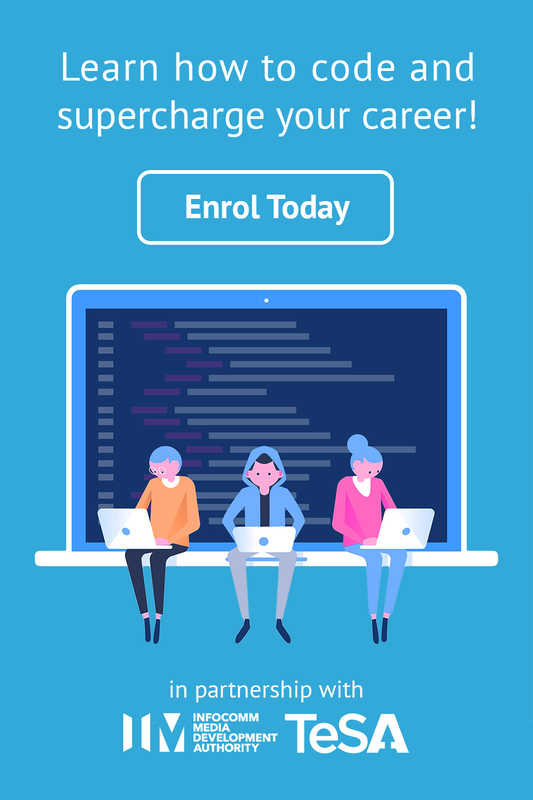 Is Coding Bootcamp The Best Way to Learn How to Code? What Kind of Web Developer Should You Be? © 2018 ALPHA Camp Academy Pte. Ltd.